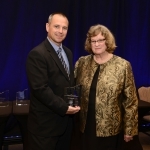 RESEARCH TRIANGLE PARK, NC –Kirk Kennedy has received an excellence in teaching award from the North Carolina Science, Mathematics, and Technology Center. 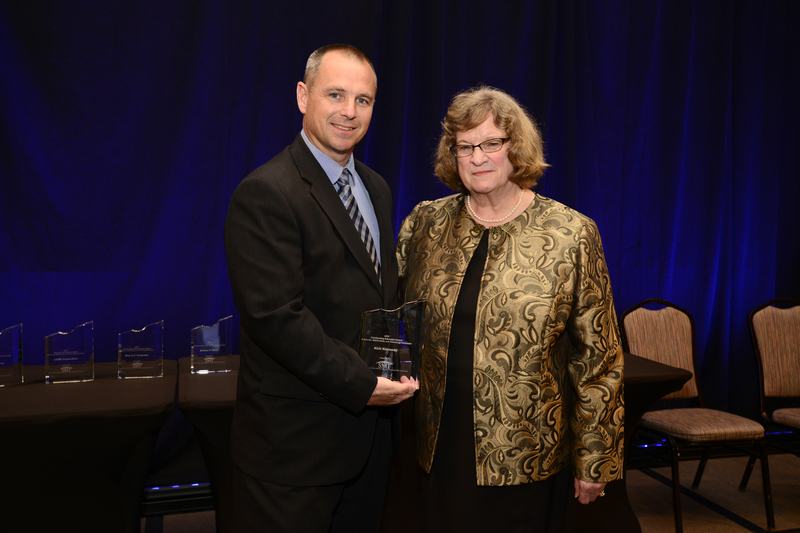 The SMT Center awarded the Mr. Kennedy at its annual SMT Celebration gala on April 18. Kirk Kennedy is a 20 year veteran science teacher at East Duplin High School in Beulaville, NC. Mr. Kennedy demonstrates enthusiasm for teaching and promoting student learning in STEM at his school and in his district. As a STEM lead teacher at East Duplin for three years, Mr. Kennedy has played a critical role in the development and implementation of the school’s summer bridge program during which incoming 9th graders spend a week engaged in STEM projects in order to learn the engineering design process and investigate the school’s Agri-science and Biotechnology theme. Mr. Kennedy’s classroom includes an integration of disciplines as students make presentations using web-based technology and entertain questions and comments from peers. He has developed a blended classroom by using his personally prepared presentations on subjects that students may view before and after class. To ensure that all students have access to resources, Mr. Kennedy provides CD’s for students without internet access.